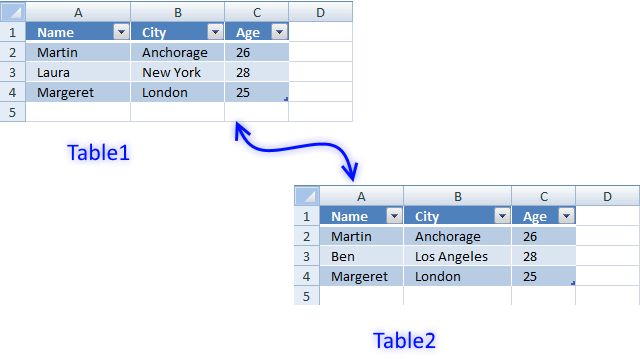 A very useful feature in Excel is defined tables, introduced in Excel 2007. Earlier versions had this feature as well but it was then known as Excel Lists. 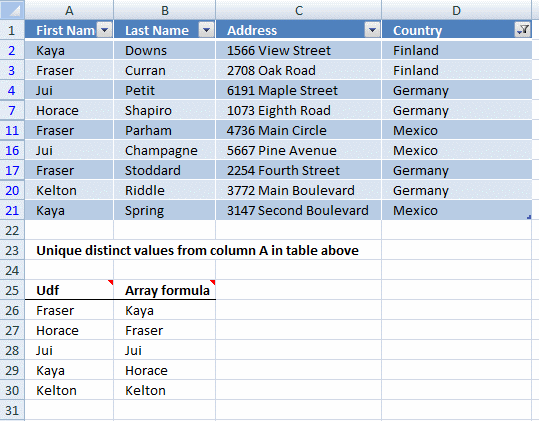 What can an excel defined table do for you? It will simplify your work with data sets, adding or removing data, filtering, sorting, readability using cell formatting, cell references, formulas and more. I will go through all this in greater detail, keep reading. Click "Table" button on tab "Insert"
Click "OK" button if your table has headers, if not deselect check box and click "OK". 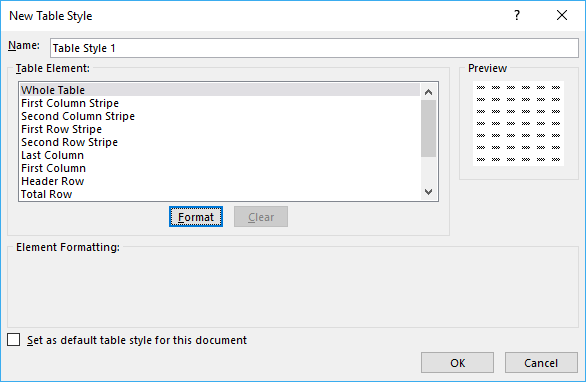 Excel will automatically create headers for you. Tip! 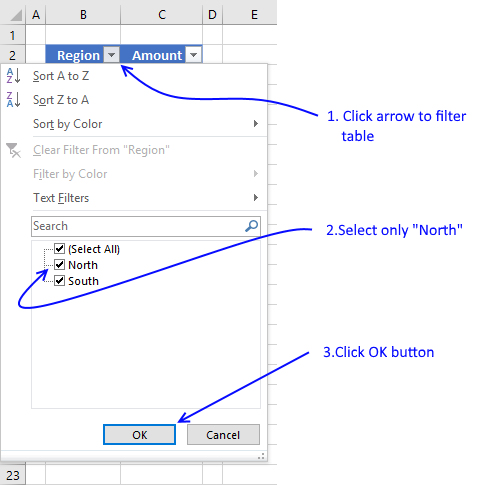 Use short cut keys CTRL + T to quickly build a table. I recommend you give the table and table headers descriptive names, for example it will be easier to identify cell references in formulas. 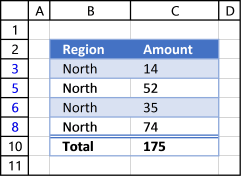 Add data to a cell adjacent to the table and the table expands automatically. Press tab on keyboard to move from one cell to another, if you press tab while having the most lower right cell in the table selected a new row is included. See picture below. 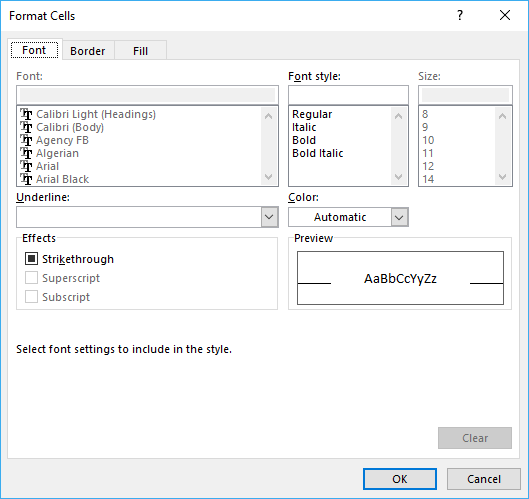 Right click on a cell in a table to open a menu, from there you can insert or delete rows and columns, also select columns and rows or all table data. Sorting a table is easy, click on any black triangle located at each header, a menu appears allowing you to quickly sort data in a descending or ascending order. An arrow next to the black triangle indicates sort order. Sort Z to A (descending) shows you an arrow pointing down. You can also sort on multiple columns, follow these steps. 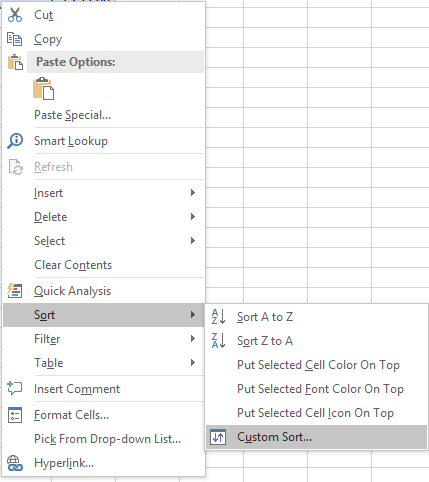 Click Sort and then click "Custom Sort..."
Select column name to sort on and sort order then add more columns. 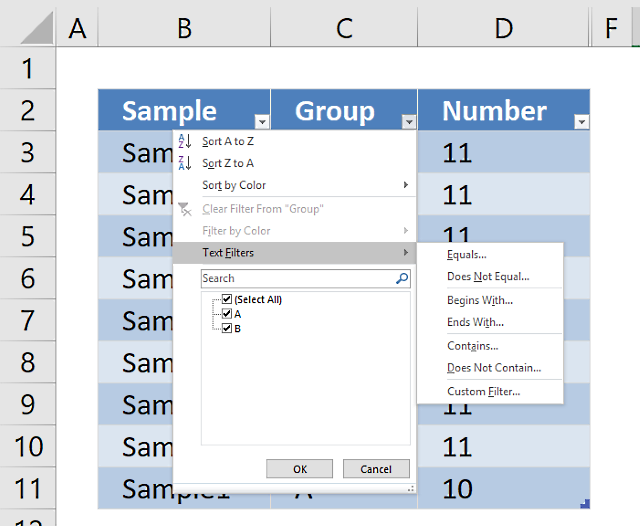 Excel allows you to apply filters to multiple columns easily, repeat above steps with another column. 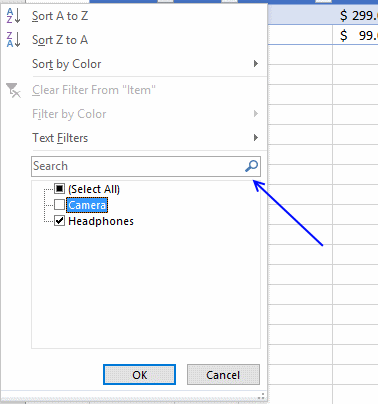 Use the search field to quickly find the value you want to filter, see picture below. You can quickly sum values using table filtering. 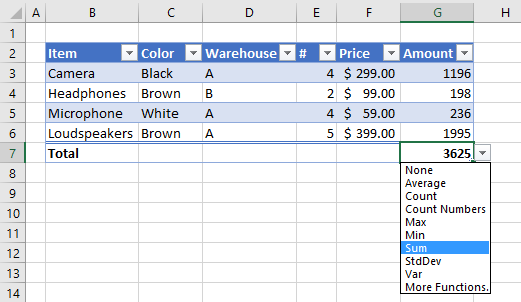 Select a cell in the table, then go to tab "Design" on the ribbon. Click "Checkbox" to enable "Total Row". 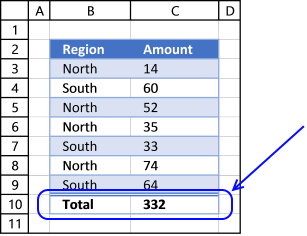 A row with totals appears on your table (332), see picture above. Now filter the table, see instructions on picture below. See how the total changes from 332 to 175. 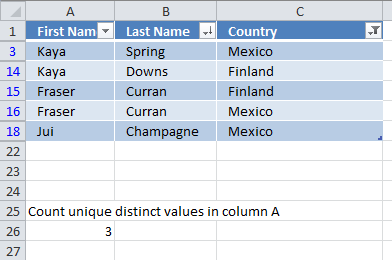 Creating a cell reference to a table column returns this instead, see picture below. 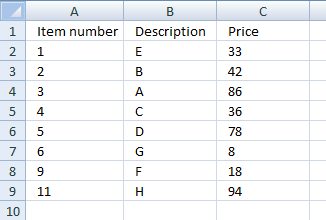 First the table name (Inventory) and then the column name enclosed with brackets [Price]. The amazing thing with structured references is that if you add or remove values to a table the structured reference stays the same, no need to update cell references. In other words, they are dynamic. 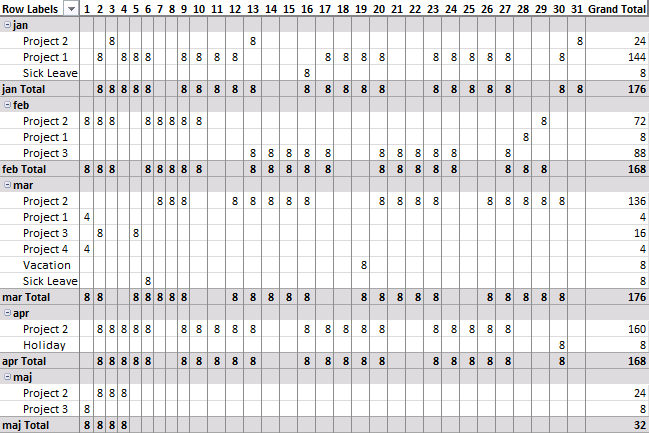 The following example demonstrates what happens if I type a formula in an excel table. I want to multiply cell E3 with F3 in cell G3, see animated picture below. @ (at) means cell value on same row as formula. 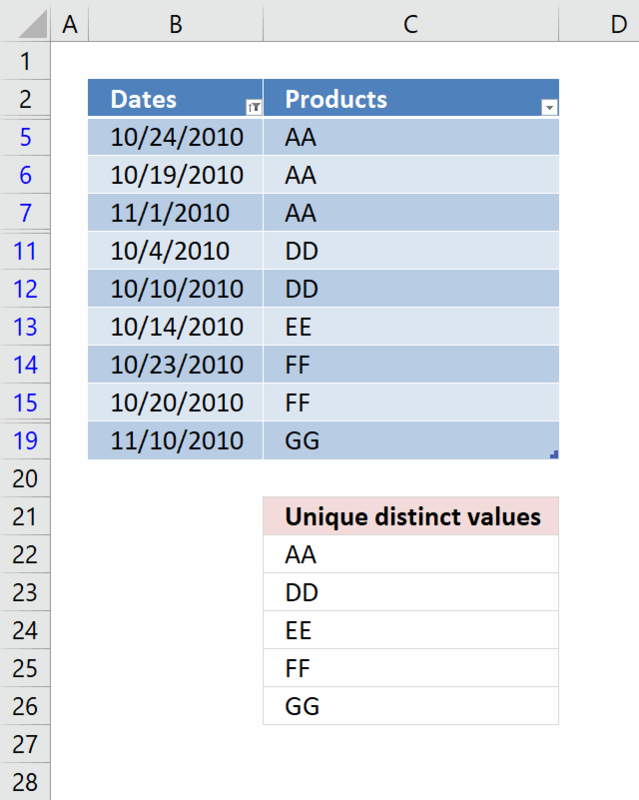 Excel also calculates the remaining cells in column G automatically, see animated picture above. You can also build your own table style. You can change how value in cell G7 is calculated, the menu has these formulas: Average, Count, Count Numbers, Max, Min, Sum, StdDev, Var and More Functions. 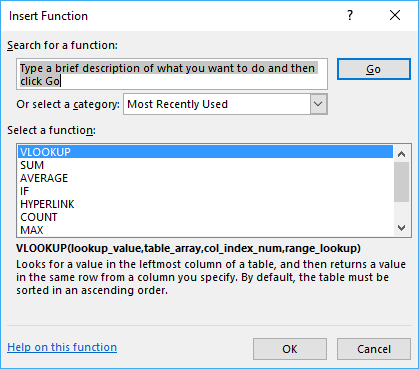 If you click "More Functions" a dialog box opens with formulas to choose from. The Name Manager contains a list of all named ranges and excel tables. 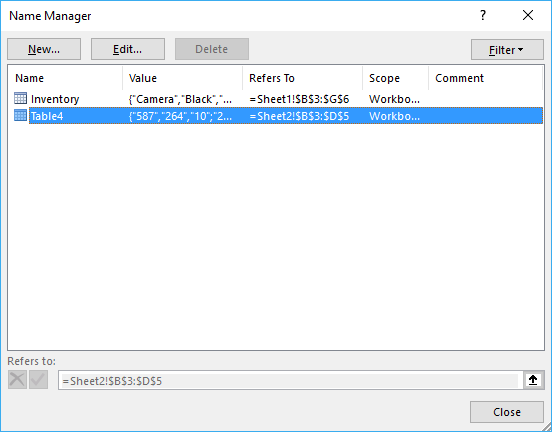 There are only tables in this workbook so the dialog box shows table names, no named ranges. 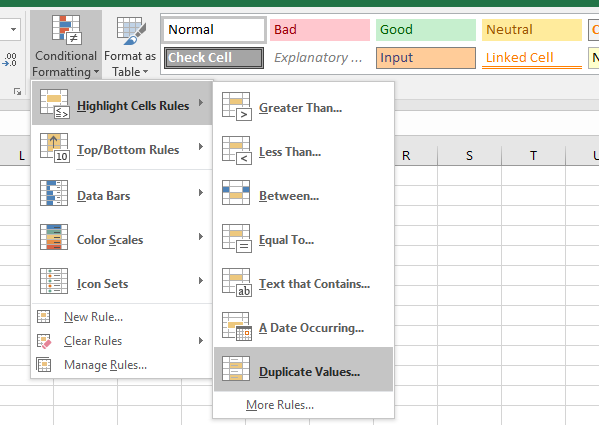 Combine chart and table to make use of dynamic cell references while filtering data. The following animation shows you a data validation list linked to a table. 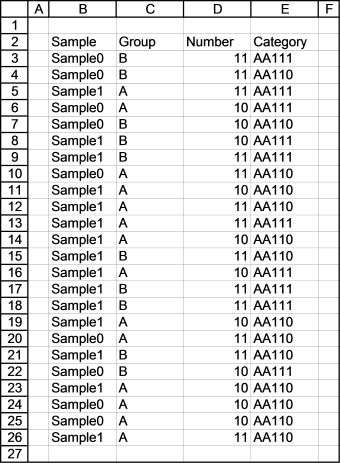 If you try to use a filtered table as a data source in a formula you are in for trouble, see animated picture below. As you can see above the SUM function sums all values in table regardless of filtered or not. 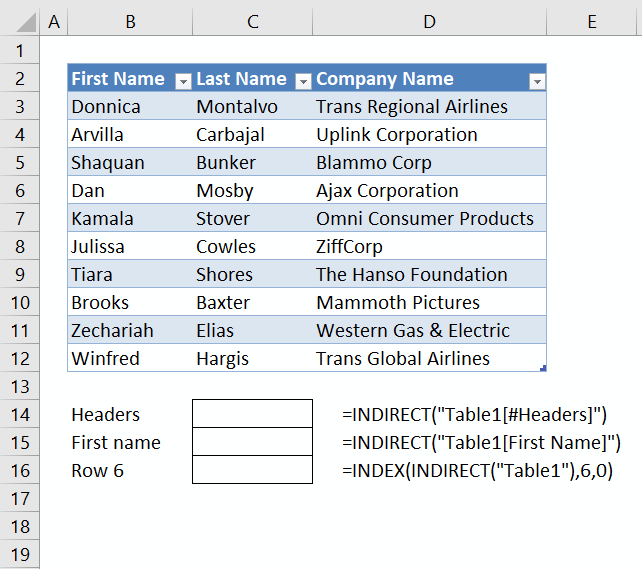 Excel lets you quickly focus on a table if you type the table name in the name box.